The angel of God who was going before the Israelite army moved and went behind them; and the pillar of cloud moved from in front of them and took its place behind them. It came between the army of Egypt and the army of Israel. And so the cloud was there with the darkness, and it lit up the night; one did not come near the other all night. Then the Lord said to Moses, “Stretch out your hand over the sea, so that the water may come back upon the Egyptians, upon their chariots and chariot drivers.” So Moses stretched out his hand over the sea, and at dawn the sea returned to its normal depth. As the Egyptians fled before it, the Lord tossed the Egyptians into the sea. The waters returned and covered the chariots and the chariot drivers, the entire army of Pharaoh that had followed them into the sea; not one of them remained. But the Israelites walked on dry ground through the sea, the waters forming a wall for them on their right and on their left. Thus the Lord saved Israel that day from the Egyptians; and Israel saw the Egyptians dead on the seashore. Israel saw the great work that the Lord did against the Egyptians. So the people feared the Lord and believed in the Lord and in his servant Moses. One of the questions we all have about the connection between the Old and New Testaments is how can the God who fought for the Hebrew people and punished the Egyptians be the same God of Jesus Christ in the Gospels? It is a common question that often lacks a lot of investigation for those who ask it. The problem for those who focus on the violence in the Old Testament is that the stories are often taken out of context. For instance, if you have a problem with God killing all the firstborn of the Egyptians, you really should have a problem with the Egyptians killing all the Hebrew male children. If God is truly good, something has to be done, and however justice is given, it would likely appear violent to someone. In context, most groups like the Hebrews, who outnumbered their Egyptian masters, would not have stopped with the firstborn. They would have either killed all of the Egyptians or enslaved them, thus becoming them within a generation. That’s not God’s will or God’s way. God fights the battles Himself so that we are not twisted by the stains of sin. Those who think that the New Testament does not portray a violent God have a problem with cotext. They have not read Revelation… nor have they read the parts in the Gospels in which Jesus talks about God’s justice. In Matthew’s Gospel, the rebellious are killed for trying to keep for themselves that which belongs to God. But there is a wave of grace that flows from Genesis to Revelation in the offer of forgiveness and the call to repentance through the grace and power of God. It is a wave that we step into to get washed and then it whisks us off our feet and away to forgive the rest of the world in Jesus’ name. God handles that justice. We may be called to go with Him in that work of justice. We will always be about the work of grace though. I believe that when we all look back over the whole of history, we will see that it all was grace. Where do you see God fighting for you? Who else do you see God fighting for? When the horses of Pharaoh with his chariots and his chariot drivers went into the sea, the Lord brought back the waters of the sea upon them; but the Israelites walked through the sea on dry ground. but rescue us from the evil one. For if you forgive others their trespasses, your heavenly Father will also forgive you; but if you do not forgive others, neither will your Father forgive your trespasses. What is the prayer that gets you saved? God has undoubtedly heard it all, in every (or nearly every) language. He has been offered everything in exchange for help. This kind of bargaining (and I want to tread carefully here) is not really what God wants, and yet all of us do it, as if part of the human experience. Since so many bible characters offered sacrifices to God, which were often accepted by Him, and following the Exodus, even regulated by Him. That leads me to believe that although God does not desire sacrifice (see Psalm 51, Hosea 6, Psalm 40, and Isaiah 1, He works with us when we want to use bargaining as a way to communicate and have a relationship with Him. One of my favorite stories of such bargaining I heard from a retired pastor. He had served in the Army and had stormed the beaches of Normandy on D-Day, June 6, 1944 with a small group of soldiers he commanded. Just before they landed, he told God that if he and his men were protected and lived through the battle, he would dedicate the rest of his life to God. He and his men all survived the day, and when he got back home, he joined the ministry and spent the rest of his life serving churches throughout the Midwest. He gave his life to God as a bargain for saving his life and the life of his fellow soldiers. Perhaps it is not the most theologically mature way of connecting with God… but God’s willingness to allow us to approach him in clumsy ways led to hundreds, perhaps thousands of people brought closer to God through Harry’s ministry. But lets be honest, it takes more than one prayer to live a life like Harry’s. It takes a continual prayer. It takes a prayer like the one Jesus taught us to pray. What has come to be known as The Lord’s Prayer is a not a prayer of bargaining. It is a prayer of surrender. 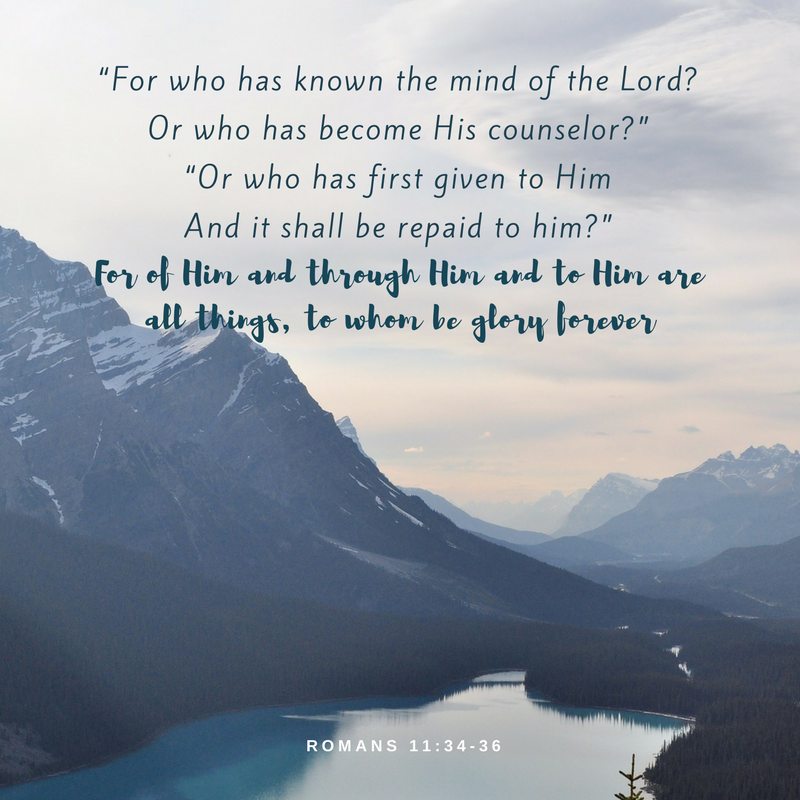 From the outright surrender of our will to God’s in “Thy will be done on earth as it is in heaven” to the more implicit asking for forgiveness for ourselves and those who sin against us as well (an excellent example of a way God calls us to spread knowledge of Him across the entire world), this entire prayer is one of surrendering our selves over to serve God. The few provisions requested in this prayer are not for personal comfort, but provision and protection while we serve. This is a prayer of a servant, not a prayer of someone bargaining for religious services. It is a prayer meant to be prayed by someone with nothing to give in return, because by the time they are praying it, they have already offered God everything they have. God wants us all to serve Him not out of a spirit of tyranny, but out of love. He knows that he can care and provide for us better than we could ever hope to do so by ourselves. Many of us run out of resources to bargain with before our life runs out. Insurance companies bank on this. Investment companies use it to buy our loyalty. Yet only God truly has enough abundance to care for our every need. God can take care of us if we will let Him. What prayer do you find yourself praying most often? How has God answered that prayer for you? Tags how to be saved, how to get saved, how to stay saved, Making the Decision, surrender, the Lord's Prayer, what prayers do you pray? Then the Lord said to Moses: Tell the Israelites to turn back and camp in front of Pi-hahiroth, between Migdol and the sea, in front of Baal-zephon; you shall camp opposite it, by the sea. Pharaoh will say of the Israelites, ‘They are wandering aimlessly in the land; the wilderness has closed in on them.’ I will harden Pharaoh’s heart, and he will pursue them, so that I will gain glory for myself over Pharaoh and all his army; and the Egyptians shall know that I am the Lord. And they did so. When the king of Egypt was told that the people had fled, the minds of Pharaoh and his officials were changed toward the people, and they said, “What have we done, letting Israel leave our service?” So he had his chariot made ready, and took his army with him; he took six hundred picked chariots and all the other chariots of Egypt with officers over all of them. The Lord hardened the heart of Pharaoh king of Egypt and he pursued the Israelites, who were going out boldly. The Egyptians pursued them, all Pharaoh’s horses and chariots, his chariot drivers and his army; they overtook them camped by the sea, by Pi-hahiroth, in front of Baal-zephon. “The patriarchs, jealous of Joseph, sold him into Egypt; but God was with him, and rescued him from all his afflictions, and enabled him to win favor and to show wisdom when he stood before Pharaoh, king of Egypt, who appointed him ruler over Egypt and over all his household. Now there came a famine throughout Egypt and Canaan, and great suffering, and our ancestors could find no food. But when Jacob heard that there was grain in Egypt, he sent our ancestors there on their first visit. On the second visit Joseph made himself known to his brothers, and Joseph’s family became known to Pharaoh. Then Joseph sent and invited his father Jacob and all his relatives to come to him, seventy-five in all; so Jacob went down to Egypt. He himself died there as well as our ancestors, and their bodies were brought back to Shechem and laid in the tomb that Abraham had bought for a sum of silver from the sons of Hamor in Shechem. Carroll, a man with a bit of a questionable past, is what I would call a philosopher of the absurd. Not that he was absurd himself, rather that he spent his time studying and speculating on the absurdities of life, language, and culture. In a time of extreme rationalism, he was a voice noting that there are some things in life that cannot be explained. They just are. Pharaoh, in his rightful place as leader of the institution found this whole ordeal with the Hebrews and their God, horribly absurd. The frogs and fleas were one thing, but the death of the firstborn had cut them to the core. Now the news reached his ears that they were simply wandering around in circles out in the wilderness. It was a mockery he could not stomach. It was horribly absurd for the Hebrew people as well. After inciting the wrath of Egypt, finally making a desperate escape, they had wandered around just outside Egypt instead of high-tailing it out of Dodge. Now, as Pharaoh gathered his army to come after them, Moses began leading them to the Red Sea. With no boat, the only thing they could rationally expect would be that Egypt would slaughter them and feed their corpses to the fish. God really did know what He was doing. While we can look back in retrospect and find some sense to it… some purpose in their footprints in the sand, we still cannot explain exactly how God did it. He just did. God will make a way, even if there is no way, and those who look back on it will try to explain it away, and will fail. 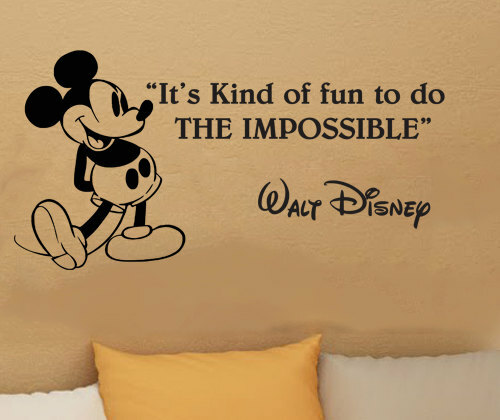 Where have you witnessed God do the impossible? Where are you waiting for God to do the impossible? When Pharaoh let the people go, God did not lead them by way of the land of the Philistines, although that was nearer; for God thought, “If the people face war, they may change their minds and return to Egypt.” So God led the people by the roundabout way of the wilderness toward the Red Sea. The Israelites went up out of the land of Egypt prepared for battle. And Moses took with him the bones of Joseph who had required a solemn oath of the Israelites, saying, “God will surely take notice of you, and then you must carry my bones with you from here.” They set out from Succoth, and camped at Etham, on the edge of the wilderness. The Lord went in front of them in a pillar of cloud by day, to lead them along the way, and in a pillar of fire by night, to give them light, so that they might travel by day and by night. Neither the pillar of cloud by day nor the pillar of fire by night left its place in front of the people. For this is the message you have heard from the beginning, that we should love one another. We must not be like Cain who was from the evil one and murdered his brother. And why did he murder him? Because his own deeds were evil and his brother’s righteous. Do not be astonished, brothers and sisters, that the world hates you. We know that we have passed from death to life because we love one another. Whoever does not love abides in death. All who hate a brother or sister are murderers, and you know that murderers do not have eternal life abiding in them. We know love by this, that he laid down his life for us—and we ought to lay down our lives for one another. In the early 1700’s, John Wesley set out to be a missionary to the Native Americans around the Georgia Territory. It did not work out for him. Because of fighting that broke out between tribes and colonists, John was really only able to meet with them once. However, he did not give up and continued work as a missionary to the various colonies instead. In those days, there were no highways, and often no real roads to speak of. In order to get from one village to the next, you had to trek through miles of swamp and woodlands. Most people had to hire guides to lead them from place to place. If you read John’s diary of his time here in America, you will discover that those guides did not always get them from place to place the most efficient way. In fact, by John’s accounts, they got lost every time. Curiously, the scripture says that Moses did it on purpose, so that the people would not grow faint of heart, pull a 180 on them, and march right back to Egypt. Moses got them so lost in God’s wilderness that they would not even know how to go back to the valley of sin from which they came. John, the Apostle wrote about God’s love like that. 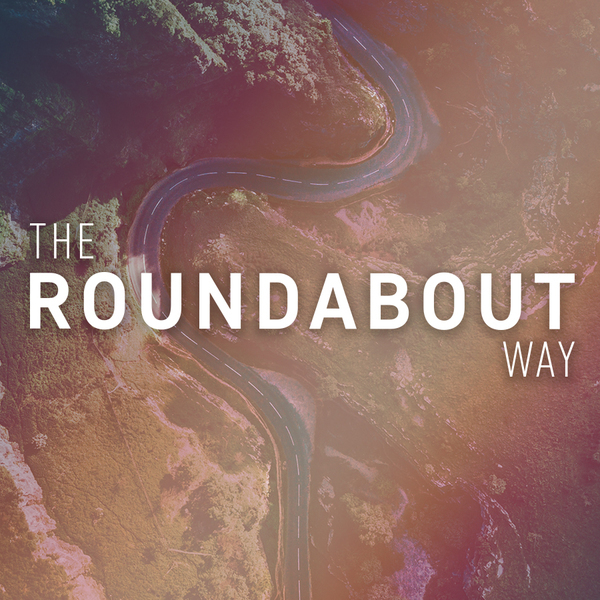 It doesn’t take us the shortest route… it takes the roundabout way. It is long, frustrating, and we very quickly get to a place where we don’t know where we are, where we are going, or where we came from. Perhaps God does that on purpose with us as well. Maybe God wants to get us so lost in love that we cannot remember the way back from where we came. John Wesley wandered in the wilderness of America for several years before giving up and going back to England. It was only there, back at home, that he began to get lost in God’s love, and when he did, it changed his life forever. When do you most often feel lost? Where have you experienced God’s love in a way that makes you forget where you are and where you’ve come from? How can you invite others to that experience as well? The Lord said to Moses: Consecrate to me all the firstborn; whatever is the first to open the womb among the Israelites, of human beings and animals, is mine. Moses said to the people, “Remember this day on which you came out of Egypt, out of the house of slavery, because the Lord brought you out from there by strength of hand; no leavened bread shall be eaten. Today, in the month of Abib, you are going out. When the Lord brings you into the land of the Canaanites, the Hittites, the Amorites, the Hivites, and the Jebusites, which he swore to your ancestors to give you, a land flowing with milk and honey, you shall keep this observance in this month. Seven days you shall eat unleavened bread, and on the seventh day there shall be a festival to the Lord. Unleavened bread shall be eaten for seven days; no leavened bread shall be seen in your possession, and no leaven shall be seen among you in all your territory. You shall tell your child on that day, ‘It is because of what the Lord did for me when I came out of Egypt.’ It shall serve for you as a sign on your hand and as a reminder on your forehead, so that the teaching of the Lord may be on your lips; for with a strong hand the Lord brought you out of Egypt. You shall keep this ordinance at its proper time from year to year. How do you measure your gratitude to God? As a young boy, I was taught by several adults that we should take time to remember the good things in our life and be thankful for them. We typically did this around Thanksgiving and Christmas, in keeping with the sentiment of those holiday seasons. So essentially, I was thinking about things to be thankful for once or twice a year. As I began to grow in my faith, I began to do this more and more often, until, one year in my early 20’s I found myself actually telling God, “thank you”, in prayer, on a daily basis. It had moved from being a reinforced idea outside of me to a personal habit I owned. As a pastor, I began encouraging others to share what they were thankful for, and often experienced the typical expressions of gratitude for good weather, safe travels, and time spent with friends or family. It was good practice in my faith communities and I felt like I was faithfully passing on the gratitude habit that had been taught to me. However, I had a sense that I there was more I should be growing in myself and passing on. Somewhere around 2010 I began changing my question from “What am I thankful for?” to “Where have I seen God at work?”. It was a subtle change… seemingly insignificant at first. Yet asking it on a regular basis made two important changes in my life and ministry. Focusing on noting instances of God at work as opposed to things or experiences I had, brought me to look for things that blessed me above and beyond my status quo. How did this help? Instead of prayers that thank God for what I have received, it encouraged me to thank God for the things He was doing in the lives of those around me as well, and to recognize that, while I may feel comfortably blessed, God still had work to do in my life as well. It encouraged myself and others around to not only tell God “thank you” in prayer, but to share the testimony of His work around us with others. It helped us move from simply being grateful people to becoming grateful witnesses. When God led the Hebrews out of Egypt, He did not simply tell them to be grateful, He gave them a very specific ritual to help them remember. I believe He did this because He knew our human tendency to forget those works of God in our lives, and after we forget, the unfaithfulness that follows. Remembering and sharing God’s faithfulness kills our doubt, the same way Jesus’s curse killed the unfruitful fig tree. 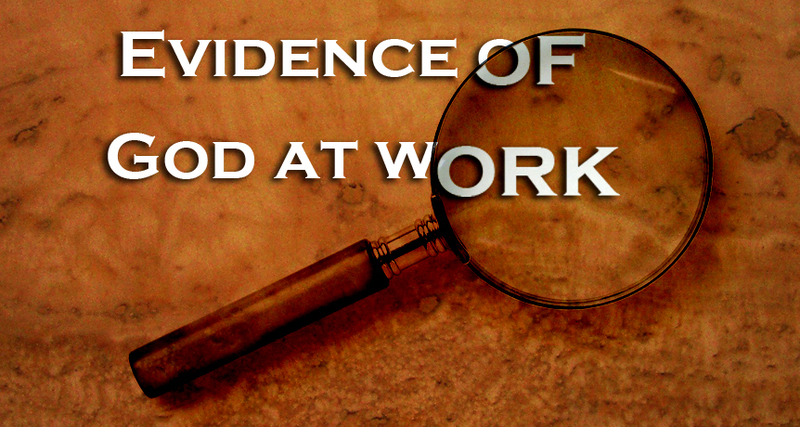 Where have you seen God at work in your life this week? Tags Counting Your Blessings, growing in grace and gratitude, how do you pray, Making the Decision, thank you Jesus, that's gratitude for you, the Pharisee and the tax collector, where have you seen God at work? The Egyptians urged the people to hasten their departure from the land, for they said, “We shall all be dead.” So the people took their dough before it was leavened, with their kneading bowls wrapped up in their cloaks on their shoulders. The Israelites had done as Moses told them; they had asked the Egyptians for jewelry of silver and gold, and for clothing, and the Lord had given the people favor in the sight of the Egyptians, so that they let them have what they asked. And so they plundered the Egyptians. The Israelites journeyed from Rameses to Succoth, about six hundred thousand men on foot, besides children. A mixed crowd also went up with them, and livestock in great numbers, both flocks and herds. They baked unleavened cakes of the dough that they had brought out of Egypt; it was not leavened, because they were driven out of Egypt and could not wait, nor had they prepared any provisions for themselves. The time that the Israelites had lived in Egypt was four hundred thirty years. At the end of four hundred thirty years, on that very day, all the companies of the Lord went out from the land of Egypt. That was for the Lord a night of vigil, to bring them out of the land of Egypt. That same night is a vigil to be kept for the Lord by all the Israelites throughout their generations. Let every person be subject to the governing authorities; for there is no authority except from God, and those authorities that exist have been instituted by God. Therefore whoever resists authority resists what God has appointed, and those who resist will incur judgment. For rulers are not a terror to good conduct, but to bad. Do you wish to have no fear of the authority? Then do what is good, and you will receive its approval; for it is God’s servant for your good. But if you do what is wrong, you should be afraid, for the authority does not bear the sword in vain! It is the servant of God to execute wrath on the wrongdoer. Therefore one must be subject, not only because of wrath but also because of conscience. For the same reason you also pay taxes, for the authorities are God’s servants, busy with this very thing. Pay to all what is due them—taxes to whom taxes are due, revenue to whom revenue is due, respect to whom respect is due, honor to whom honor is due. 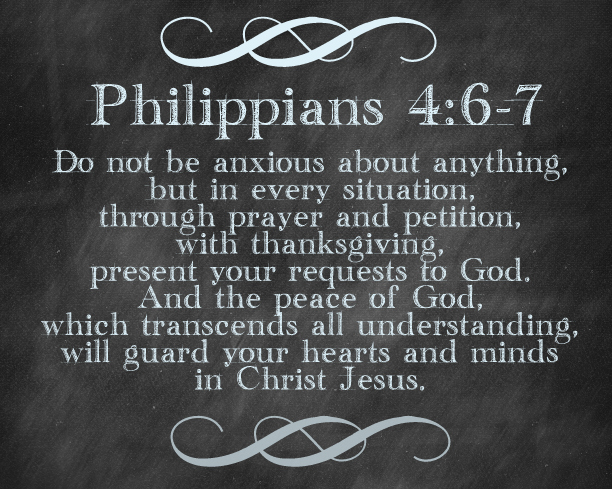 You may have heard the famous quote, “God doesn’t close one door without opening another.” It is not a scriptural quote, but it is one we often pass around during times of frustration. Once those doors appear though, we usually stop talking about them and begin to get anxious about what to do once we walk through them. There comes a point for each of us, when the open door stands before us, and we have to go through it or miss it altogether. A large part of the anxiety we face is that we do not know what is on the other side of that door. We probably have some ideas and expectations, but the whole point of doors is that they act as exits from one place and an entry into another place. The rules may change. The comforts we have grown accustomed to may not be able to cross over with us. But the day will come when we may feel as if we no longer have a choice… we are being pushed through. 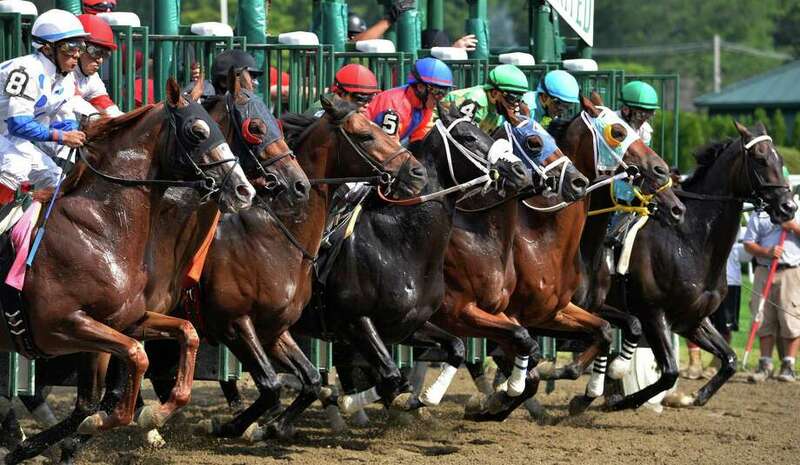 The Hebrew people had been jockeyed back and forth over days and weeks. Are we going or are we staying? Will Pharaoh and Moses ever make up their minds? The early Christians in Rome must have had similar thoughts about Jesus coming back in the midst of the persecution they were facing from the “Pharaoh” of their day. God does push sometimes. Or at least He allows the situations to push for Him. Whether it is the moment of our birth, our first day of school, or one of those moments in life where we are learning to slow down and take care of the small details… there is usually a nudge directing us through a door. God does more than push from one side though. He sets up guides, guards, rails, and fences to pave the way ahead. The specific rules may change, but the fact that God will be there on the other side of the door will never change. That’s what walking by faith means. You can choose a door with wisdom, but only faith will get you through it. What open doors do you have before you today? How can you seek God for the faith required to step through them? This day shall be a day of remembrance for you. You shall celebrate it as a festival to the Lord; throughout your generations you shall observe it as a perpetual ordinance. Seven days you shall eat unleavened bread; on the first day you shall remove leaven from your houses, for whoever eats leavened bread from the first day until the seventh day shall be cut off from Israel. On the first day you shall hold a solemn assembly, and on the seventh day a solemn assembly; no work shall be done on those days; only what everyone must eat, that alone may be prepared by you. You shall observe the festival of unleavened bread, for on this very day I brought your companies out of the land of Egypt: you shall observe this day throughout your generations as a perpetual ordinance. In the first month, from the evening of the fourteenth day until the evening of the twenty-first day, you shall eat unleavened bread. For seven days no leaven shall be found in your houses; for whoever eats what is leavened shall be cut off from the congregation of Israel, whether an alien or a native of the land. You shall eat nothing leavened; in all your settlements you shall eat unleavened bread. Then Moses called all the elders of Israel and said to them, “Go, select lambs for your families, and slaughter the passover lamb. Take a bunch of hyssop, dip it in the blood that is in the basin, and touch the lintel and the two doorposts with the blood in the basin. None of you shall go outside the door of your house until morning. For the Lord will pass through to strike down the Egyptians; when he sees the blood on the lintel and on the two doorposts, the Lord will pass over that door and will not allow the destroyer to enter your houses to strike you down. You shall observe this rite as a perpetual ordinance for you and your children. When you come to the land that the Lord will give you, as he has promised, you shall keep this observance. And when your children ask you, ‘What do you mean by this observance?’ you shall say, ‘It is the passover sacrifice to the Lord, for he passed over the houses of the Israelites in Egypt, when he struck down the Egyptians but spared our houses.’” And the people bowed down and worshiped. Beloved, I urge you as aliens and exiles to abstain from the desires of the flesh that wage war against the soul. Conduct yourselves honorably among the Gentiles, so that, though they malign you as evildoers, they may see your honorable deeds and glorify God when he comes to judge. For the Lord’s sake accept the authority of every human institution, whether of the emperor as supreme, or of governors, as sent by him to punish those who do wrong and to praise those who do right. For it is God’s will that by doing right you should silence the ignorance of the foolish. As servants of God, live as free people, yet do not use your freedom as a pretext for evil. Honor everyone. Love the family of believers. Fear God. Honor the emperor. What kind of preparation does it take to make a decision to follow Jesus? In the United States, we expect at least one up-tempo, happy song about God’s love and goodness, followed by a entertaining and engaging talk (sermon) that explains how the Bible applies to us today. In the last five minutes of the talk it should shift gears from the particular passage and move to a specific challenge to follow Jesus. During this time, or immediately following it, an emotional, slow to moderately paced song should be played at sufficient volume to fill the room and remove any external distractions. Following the challenge, the speaker should invite those who feel so led to come down to the front and stand or kneel for prayer with the leader or leaders of the ministry. What is needed? A skilled speaker, a group of talented musicians, electricity and a sound system, and probably most important of all – a crowd. People are more likely to go forward in a large crowd where they feel anonymous than in the middle of of a small group that they will see at work the next day. The further south you go, the louder and more confrontational you are expected to be. The further north you go, the more you are expected to be respectful and not pushy, ideally making the responding individuals feel like they are making decisions all on their own. Across the globe, some cultures favor more elaborate invitations and some favor more informal ones. Across history, some groups have favored making decisions on Sunday mornings in church, others favor Sunday nights or evening revival services. Many more made decisions at home, at work, or out in the market. What we often forget is that many people either did not have access to a regular church service throughout history, or were not allowed in church because of their race, socioeconomic background, or public perception by rumor or record. Those people make decisions to follow Christ wherever they are offered it. What kind of preparation is required outside of our cultural preferences? Not near as many as we often make. One thing stands out above everything else though. It is the preparation Jesus asked all His disciples to make. 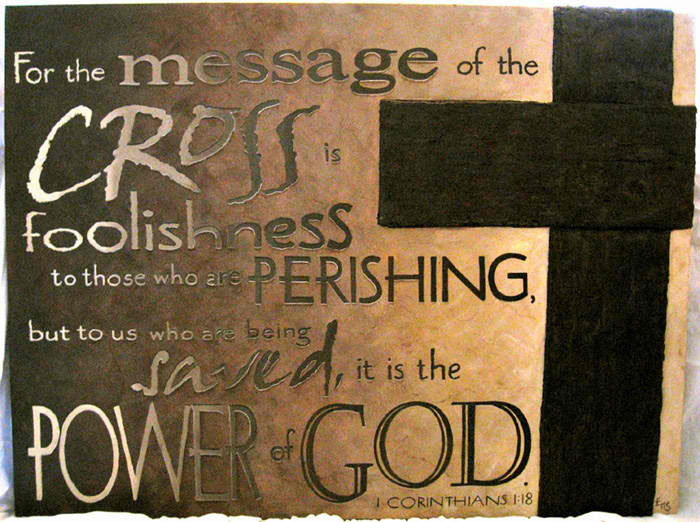 Deny yourself, take up your cross, and follow Him. It may cost you differently than it costs others, but it will end up costing all, for God will only redeem what we are willing to offer to him. What does God require from you? How has God taken that offering and blessed you with it? How can you prepare for God to take you further with Him?